These miniature Christmas tree ornaments are approximately 80mm tall (3.14 inches). 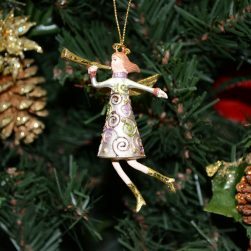 Each angel Christmas decorations is hand constructed from wire reinforced resin and then hand painted to make a unique Christmas decoration. 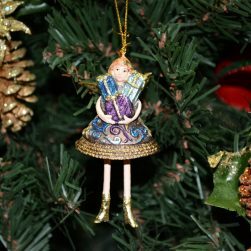 This beautiful miniature Christmas angel ornament in indigo is a popular addition to any Christmas decoration or tree. A delightful indigo color she makes all around her glow with Christmas excitement. 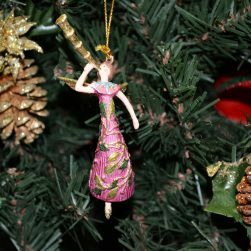 This fairy ornament is hand made using construction wire, reinforced resin and then each one is hand painted.